German shepherd dogs have ears that naturally point upright, and a noble, intelligent face. Their long muzzles have a powerful bite. Their sloping hindquarters give them a smooth, ground-covering stride, while their hind paws usually overstep their front ones. They are often tan with a black "saddle, " although they can come in up to 11 color variations. These dogs are bred to work, so they have a high level of energy and drive which requires both mental and physical exercise on a regular basis. 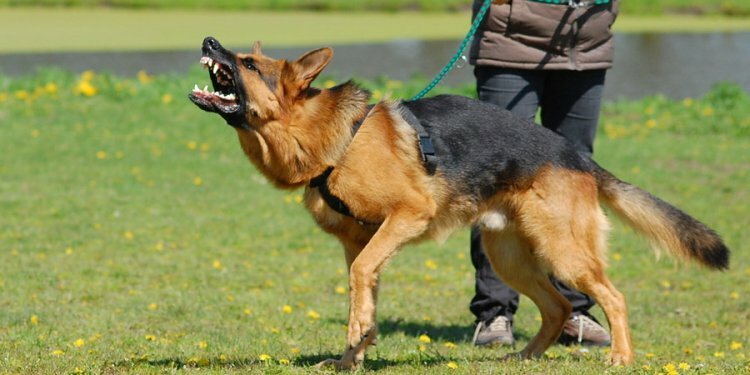 German shepherds are known for being fiercely protective of their families, which can turn to inappropriate aggression if they are not carefully trained and socialized. They bond closely with their families and prefer to be around them at all times. They like attention and praise from people they know, although they tend to be aloof to strangers. If their emotional or energy needs are neglected, they may become destructive by chewing or digging around the house. German shepherd dogs have a strong urge to chase and nip small animals or children, so they must be thoroughly trained and socialized before being trusted in those situations.